That is a broken record that will continue to play forever. I Hate Seasons: My farming journey has, by and large, come to an end. People ARE willing to follow a good example far more often than ignore it. The story of a friend: I will always remember her as what she was to me. . .and that was a beautiful friend when I needed one so many years ago. I took his lunch away: What is America? I can tell you one thing. . . it isn't a place to be proud of, anymore. Because Milking Cows and Goats are like treadmills. . . 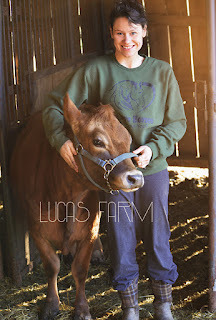 Follow us on Facebook at Lucas Farm!